(Image-Dr Prakriti Poddar): Recently Dr Poddar has been awarded ‘The Iconic Woman Of the Year in Social Service’ by the Nav Bharat Times. Mumbai based Poddar Foundation is aggressively pursuing the agenda of the Mental Health Policy to ensure its implementation at the grassroots level. As a part of the initiative to do so, the foundation started the brand Silence Todo, which works in mental health education, awareness and empowerment. Poddar Foundation has created a teaching and training manual for children, social health workers, teachers, aganwadis, as well as medical officers. The foundation is currently working with over 200-gram panchayats in Maharashtra and uses technology to spread awareness. 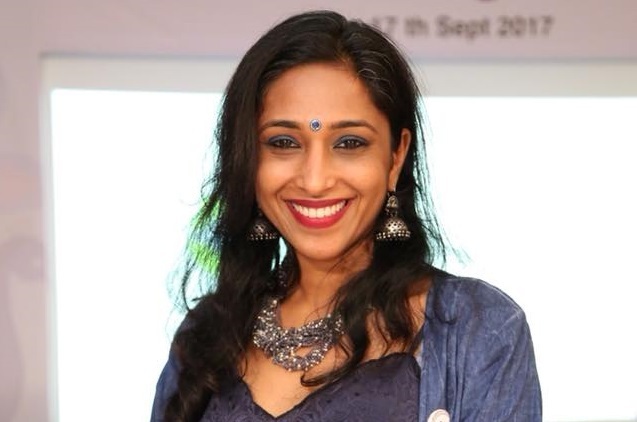 As the Managing Trustee of Poddar Foundation, Dr Prakriti Poddar focuses on raising awareness of mental health issues and creating preventive mental health programs for the Nation. Additionally, Dr Poddar is engaged in a pilot training program “The Prakalp Pre-rna” mandated by the Maharashtra health ministry, to train medical officers in order to counsel for mental health effectiveness. This training was targeted as a step program to train the Asha workers for rural mental health counselling and recognition of mental health issues. How do you view the prevailing mental health scenario in the country? Currently I find that the mental health issue is a very large problem in India. The vulnerable population for mental disorders is between 15-36 years. Again what is not known is that every disease starts in the mind and converts into a disease in the body. Everybody gets a feel of it at some stage of the life. It is everywhere and is detrimental to health yet the stigma is so large that people don’t actually talk about it. The lack of awareness of the problem is perpetuating the situation. It is perpetuating the symptoms, perpetuating the science. And people are not getting the help because it is considered to be a taboo in our society. Even the criminalization is linked with mental state. People don’t understand that if the people behave obnoxiously, they require care. The stress is a mental health issue. Anxiety too leads to disturbances in thoughts. We need to break the stigma around it. Emotional disturbances create deeper issues. If you have an issue with your mother or father or any other relation, it will filter into other relationships. You can’t compartmentalize your mind. Are our concerned policymakers doing enough over the issue? This seems to be a trick question as the policymakers aren’t even doing anything around it. High time, they should be discussing it in a big way. There has to be a jointed effort. The policymakers have to come together. Other stakeholders have to come together as a team. The superiority complex and selling of products to make people feel better than others has to stop. However, there are fears that the businesses will collapse if that is done. Hence, the FMCG industry and media have to take responsibility. The only other way to avoid it is to teach the kindergarten kids. It has to start at the beginnings. The voices have to be heard. We have to open avenues for the curriculum changes. The focus gradually needs to shift to integrating mental health assessment and treatment along with other diseases. The basic way to achieve this is to make the inclusion of a questionnaire or patient information form pertaining to mental health compulsory. What are the challenges that affect mental health treatment? We generally do the assessment to check the level of awareness. We are going to the economically weaker sections to understand their knowledge. But from teachers to doctors, they have zero knowledge. During the course of our work, we have met many doctors but found that the awareness and sensitivity to mental health was very low. We have met psychiatrists and found that they prescribe the pills for minor issues. I have had seen in my centers people suffering due to medication. I am not an expert in the medication but just the way in which they are interacting with me and progressing in their disease, it is actually disease is progressing because of the medication. I will give an example. If the medicine is not working, it will create more physical pain and mental agony. If we point this out, we are taken as activists and ignored. There are also a number of factors which cause hindrance in effective communication about and adherence to treatment regimen. Factors such as age, education, various belief systems, financial, work and other issues put enough mental pressure on an individual to compromise health. All these factors do not only compromise health but also impact mental health. A fact, which is not well acknowledged or realized enough, is that most victims of any major disease, including their family members, are in need of counselling. This also means they need guidance, support systems, checks and balances to guide them, motivate them, and keep them on track of the treatment regimen and associated lifestyle. How does mental health affect us physically? The mental health is intricately linked to our physical wellbeing and both affect each other. While the disease may be only related to a body part or an organ system but mental health has an overarching effect on the body. An integrated mental health assessment in routine hospital care is the way forward to achieve our objectives of holistic health. Where is your work primarily based at? What is the focus of your organization’s work in the area? Poddar Foundation has been working on building awareness through self-help assessment groups. We have built school curriculum for mental health and peace. We offer four packages. Our work is primarily focused in the city of Mumbai but we also have centres in other areas. We are working along with the BMC, Maharashtra State Commission for Women and other key organizations. With women’s commission, we aim to educate more and more women on these issues as she would so the same around her. This also makes sense because their is scarcity of enough educators. Over a lakh population has just 0.07 percent councilors. Reasons are prejudices about mental health issues, lack of training, lack of interest due to lower pay scale.